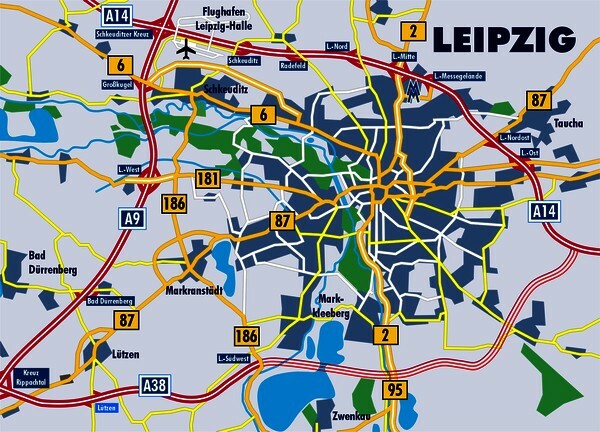 Leipzig/Halle airport is about 30 minutes from the city centre by car. A train connects the airport to Leipzig's main train station. Trains leave every 30 minutes, driving time is about 15 minutes. The Augustusplatz Campus is within 5 minutes walk from Leipzig's train station. 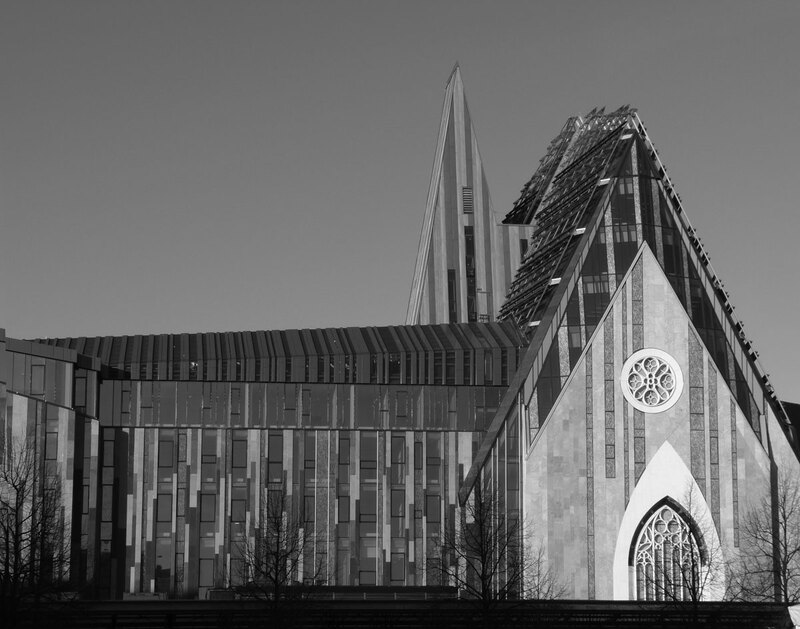 If there are no direct flights from your city to Leipzig, you can reach Leipzig via Berlin (about one hour train ride from Leipzig), Frankfurt am Main or Hannover (about three/ three and half hours train ride to Leipzig). From these cities, trains frequently depart for Leipzig. Autobahn A9 (Berlin - München): change at Schkeuditzer Kreuz to A9, exit at Leipzig Mitte to interstate B2, follow directions to Leipzig's inner city („Zentrum“). Autobahn A38 (Göttingen - Leipzig): exit at Kreuz Rippachtal to interstate B87, follow directions to Leipzig's inner city („Zentrum“). Autobahn A14 (Nossen – Magdeburg): exit at Leipzig Mitte to interstate B2, follow directions to Leipzig's inner city („Zentrum“). Follow the city's inner ring until Augustusplatz at the Georgiring. Direct at the Augustusplatz is an underground garage („Tiefgarage Augustusplatz“). The total day costs 5 €. The garage is open for 24 hours. Intercity- and Intercity-Express-trains connect Leipzig to almost all European cities. There is a 5 minutes walk from the train station to the Augustusplatz Campus. Leave the station at its head side, cross the tram station area and walk along Nikolaistraße or Goethestraße.